JONNESWAY® is a well recognized brand established in 1983. With more than 30 years of history in the professional and industrial tool market, Jonnesway has successfully distributed to 107 different countries around the world and established more than 4,000 solid distribution channels. Jonnesway is committed to provide total solution for professional mechanics to perform their every day duties with more efficiency and effectiveness. 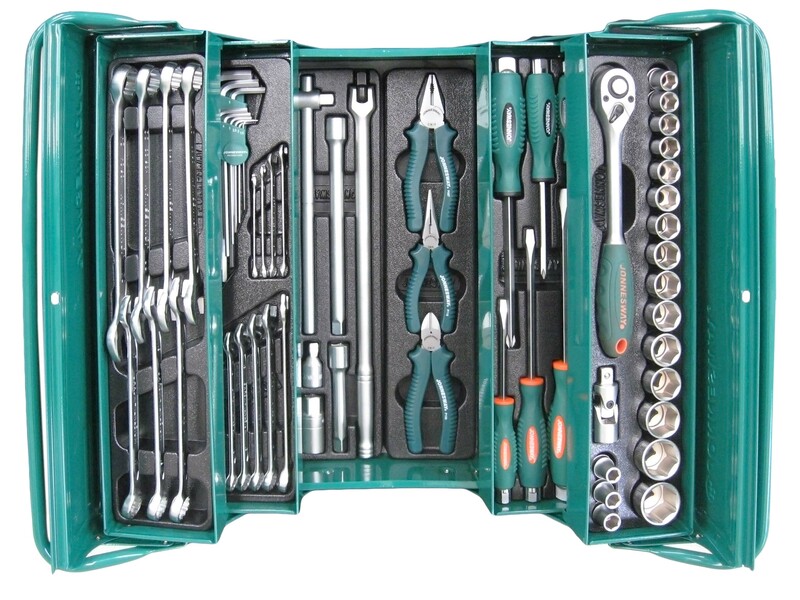 With full range of products, including hand tools,air tools, automotive repair tools, and tool trolleys with mechanic tool sets, Jonnesway has received unanimous applauses from all over the world. For 32 years, we have committed to provide the best services to our distributors and Jonnesway brand image has received recognitions and awards from Taiwanese government as well as international communities. Jonnesway has received the 11th and 17th Rising Star Award, Superior Brand Award, National Quality Gold Brand Award, and National Brand Yushan Award from Taiwanese government, and “Top 1,000 Small and Medium Elite Enterprise” from the prestigious credit report company Dun and Bradstreet. Jonnesway is also the appointed tool brand for 2010 Euroskill Competition in Portugal, Automechanika Competition for Vocational School Student in China in 2013 and 2014, and Automechanika Competition in China in 2013. The awards and recognitions have proved Jonnesway as the preferable choice of tool for professional mechanics. We sincerely welcome you to join the big family of Jonnesway to enjoy the artisan of tool and luxurious brand image.